Lucas Poulle had never won a single match in his career at the Australian Open prior to this fortnight. He also had not won a match this season, with a combined 0-4 record at the Hopman Cup and the 250-point tournament in Sydney. But it has all turned around for Pouille in a hurry, as the world No. 31 suddenly finds himself in the Aussie Open semifinals following defeats of Mikhail Kukushkin, Maximilian Marterer, Alexei Popyrin, Borna Coric, and Milos Raonic. He delivered his best performance of the event–and perhaps of the whole past year–in the QFs against Raonic on Wednesday, scoring a 7-6(4), 6-3, 6-7(2), 6-4 upset. The world No. 31 returned serve incredibly and well fired amazing passing shots one right after another as the steadiness of his baseline game forced Raonic to shorten points by attacking the net. No plan worked especially well for the big-serving Canadian, who got the best of a tight third set but got broken at 4-5 in the third to end his comeback hopes. “I didn’t have to face a break point for almost three hours,” noted Pouille, who dropped his opening service game it set one before holding the rest of the way. “Even if I lost the third set, in my mind it was clear I had to stay focused on my service game, taking care of that, then trying to put as many returns as I can. In the third set I had some break points. He always saved it really well with a good serve, good points. Then he played a good tiebreak. 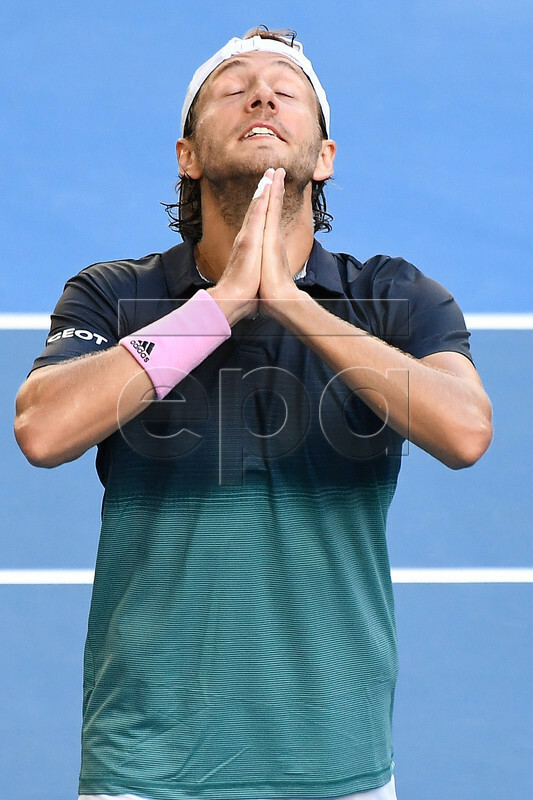 Up next for Pouille is a semifinal date with Novak Djokovic, who was cruising 6-1, 4-1 during the night-session semifinal when Kei Nishikori retired. A fatigued Nishikori played three five-setters earlier in the tournament.